Donna Beccaria is passionate about “contributing to the growth of others.” She has been fortunate to have a career for 18+years which allows her to live her passion every day! 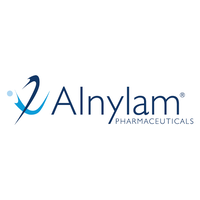 Donna is currently, Vice President, Enterprise Learning at Alnylam Pharmaceuticals, a high-growth bio-tech company, delivering on a new class of medicines with a core focus on RNAi therapeutics. In her role, Donna is building out a global learning capability across R&D, Compliance, Manufacturing, IT, Medical Affairs and Commercial. 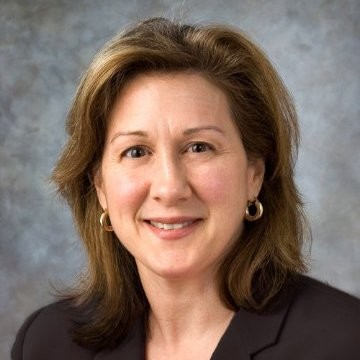 Previously, as Executive Director at Sanofi and Bristol-Myers Squibb, Donna built a new capability of centralized medical communications, content and training, to distribute and curate scientific content - the Global Medical Content team. The team was able to deliver content to global channels, within 24 hours of public disclosure. In Donna’s first role in the pharmaceutical industry, she transformed the global R&D learning and collaboration team at Bristol-Myers Squibb. Learning programs included, talent development for key groups, disease & product learning (including external physicians), drug development learning, multiple IT systems’ learning and GCP compliance training. The team’s transformation KPIs included: increased the 50+ global team’s productivity by 50% and decreased agency spending by 63%. The increased productivity resulted in multiple new learning deliverables across R&D. Before joining Bristol-Myers Squibb, Donna was principal in her own management consulting firm servicing fortune 500 companies. Her company specialized in executive coaching, talent & leadership development, team effectiveness and organizational operating models. She is recognized for building collaborative relationships at all levels, in order to lead and influence business strategies and outcomes. Donna’s additional leadership experience includes Executive Board Member, HR Executive working directly for CEO, CFO, and CTO; in addition to her current pharmaceutical role she has multiple years of experience in financial services and technology industries. Donna has a Master of Science in Human Resource Strategy and Bachelor's degree in Psychology, both from Rutgers University. Donna makes her home in both Boston, MA and Montgomery NJ, with her husband, two children (kids are in college now 😊) and two dogs. •What are the priorities of the business? •What resources do we need to meet the priorities? •What model/method of communication will we use to keep the business updated? Once you have answered these questions, you then start an implementation plan. Having a plan allows you to prioritize deliverables to meet the needs; and when needed, reprioritize to meet just-in-time needs. Above all, L&D deliverables must represent “added value” to the business -- value which a strictly outsourced L&D model cannot achieve. It is only then, that you are true business partners to your business colleagues.